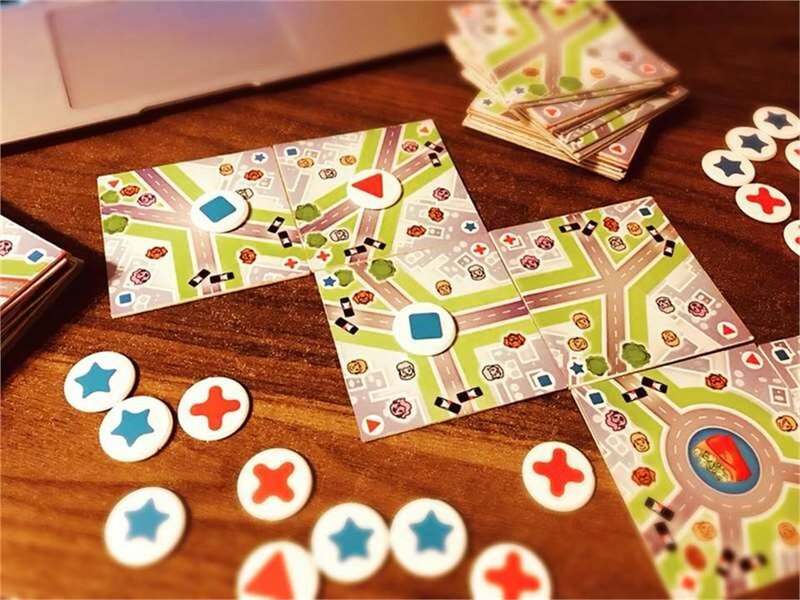 The game is played in real time – there are no turns and all players will be frantically trying to place tiles or tokens. 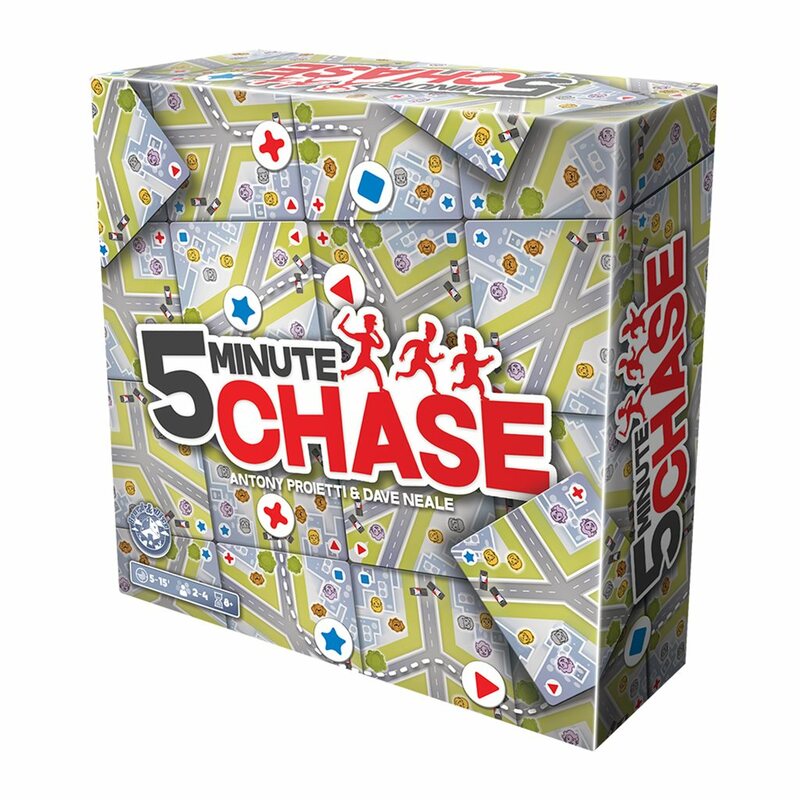 One or two players will be the runner(s), who have escaped from prison and are attempting to get back to their hideout, and the other player(s) will be hunters representing the detectives in pursuit. The hunter wins if they catch a runner before they reach their hideout. Each game last less than 5mins. The game is suitable for those aged 8 and above. It is therefore extremely portable and the perfect light-weight filler.